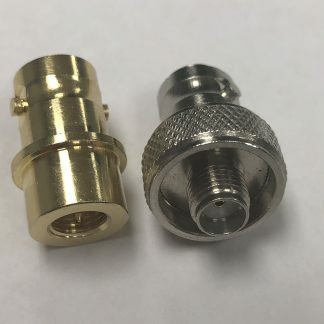 Without Rubber SpacerWith Rubber Spacer We will include a rubber washer to put between the radio and antenna (helpful with some radios with particularly tall SMA connectors). Note this only fits an SMA connector and most likely is only useful for SMA-M! Please make sure you order the correct connector for your radio! 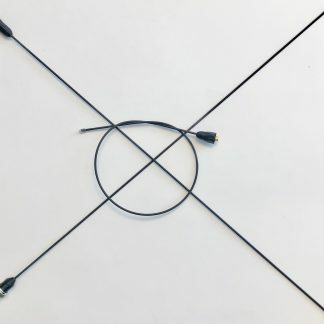 These are hand-made, ultra lightweight, and nearly indestructible antennas which outperform the stock antenna your handheld radio came with by a significant margin. Originally designed to use as a fundraiser for a youth group, sales from these remarkable antennas are now the primary source of funding for our free ham radio study website, https://hamstudy.org. These antennas have changed many times over the years; the current versions have black 3D-printed covers over the connectors and clear / GITD tips. Custom colors are available when ordering in groups of 50 or more at a discounted rate, email us for more information. I’m using this antenna on a TYT MD-390 radio. This antenna is significantly better than the stock radio, and has much less noise than my ExpertPower XP-771 (compare to Nagoya 771). This antenna connector plus SMA adapter is about half the length of the SMA to BNC adapter sets I got on ebay, making this antenna about the same installed length as the other two much shorter antennas. I’m not going to abuse it like other have, so I expect it to last a very long time. Seems like a killer deal for a much better antenna than what the big companies make. I have one of these antennas on my Tait Orca handheld (VHF, 136-174MHz). Receive and transmit both are excellent, far better than the OEM duck! Will be equipping several of my other VHF and dual-band radios with these. Can’t beat them for the price, and you support others in the amateur community! 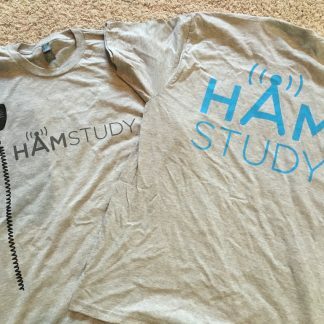 First off, I used hamstudy.org and it was very helpful in getting my General and Extra. I recently bought two of these signal sticks and tried them out on two different HTs. They really work great. Yes, you can coil it up and it pops right back in shape. The price is very reasonable and the shipping was fast. Just received my 3rd antenna and the 2.0 version is really a step up. It has enough backbone to keep it from flopping around like the original version. Both versions have great results RX and TX but the new version really does seem more stable. I will probably end up getting another one or two because they really are that great. Purchased a Gen 2 antenna for my Wouxun HT. Out of the bag keyed up repeater 35miles away. Reports clear audio but low getting into machine. Cant wait to see how it does on simplex and UHF. Ive been recommending this antenna to others. Wonderful improvement. Probably didn’t need the spacer but it is rubber so acts as a soft lock washer.. It should! You need an SMA-M connector on the antenna. Got this for my Ft2D today, the difference is absolutely amazing over the stock antenna for receiving signals. Really pleased. One thing to note is that the Nitinol will have a bend easily in sub freezing temperatures but it became perfect again once I went inside. Again, really pleased. Yeah, the way nitinol acts in really cold temperatures is a bit weird :-/ Glad it’s working well for you! Unfortunately I’m uncertain about that; I don’t *think* so but I can’t say for sure. Great Atenna, just be sure to add the rubber washer if you have a Yaesu or it won’t be water resistant. I didn’t understand what it was for and didn’t add one, now I’m searching for one. Please note that the signal sticks are not (and were not designed to be) specifically water resistant and I absolutely would not count on it being water resistant even with a rubber washer. Also note that with some Yaesu radios using a rubber washer may cause the antenna not to seat sufficiently to make a solid contact, where other Yaesu radios there will actually be a gap underneath. It’s just not cut and dried =] If you do need to find your own washers, though, the ones we use are 1/4″ ID, 1/2″ OD, 1/16″ thick neoprene rubber washers. Great antenna, can’t beat the price.. I am using it in my Yaesu Ft1xdr, receive and transmit both are excellent, far better than the OEM duck. I have to put small rubber washer to make a “solid” contact. Do you have in mind to design antennas for mobile aplication (PL-259 connector), 50w or more? Fantastic Antenna, HUGE upgrade from a rubber ducky!!! Highly recommended.